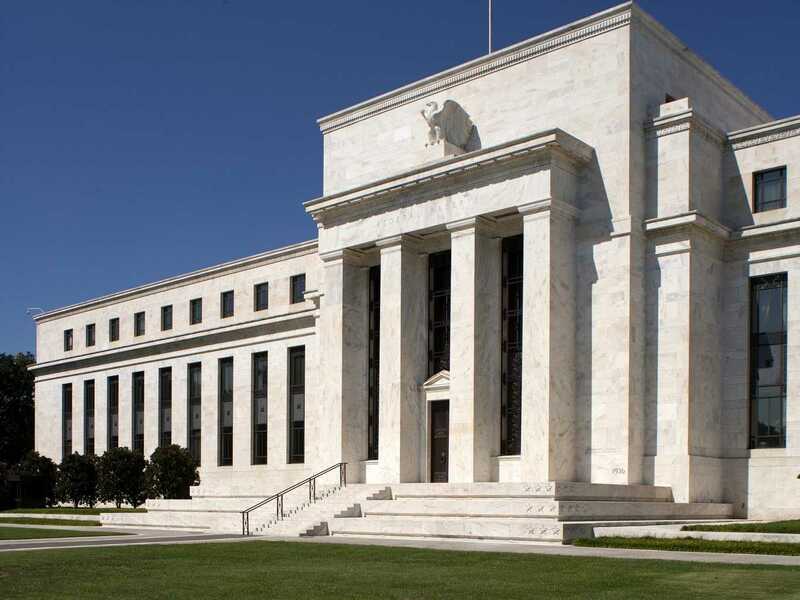 US: What Does “Monetary Policy Normalization” Really Mean ? It’s not easy to understand what does Janet Yellen (and the other members of the FOMC) think of when she talks about “normalization”, how much can rates move upwards ? Now that’s a one billion dollar question. 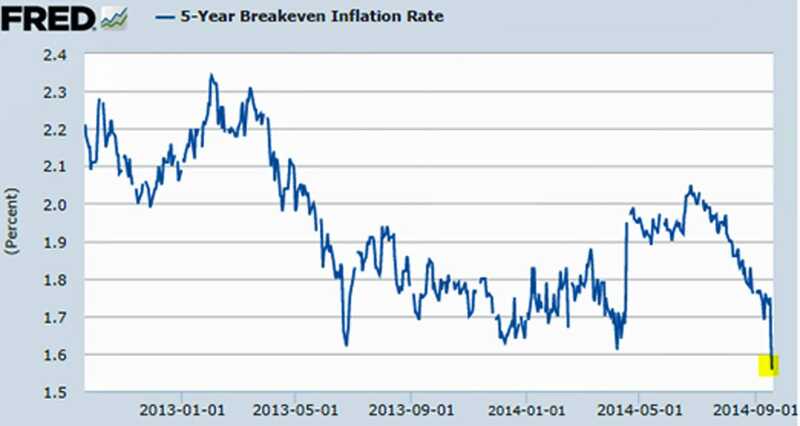 Considering inflation, federal funds rates are now around -2%. A “normal” situation in this graph is when the green line stands above the +2% level. The problem is: how can the Fed be so sure that, by raising its rates, inflation will not fall ? The market expects a well below 2% inflation level for the medium term. Now let’s do some math: say that the Federal Reserve wants to achieve the 2% annual inflation target with real federal funds rates equal to 2%, what level of nominal federal funds rates does it need ? Exactly: the Federal Reserve is aiming at funds rates equal to 4% (in nominal terms). Considering that we now stand at 0%, how many years will it take to reach that level ? If (and that’s a big if) we won’t see new recessions in the US, we expect the Fed will take at least two years to reach that 4%. 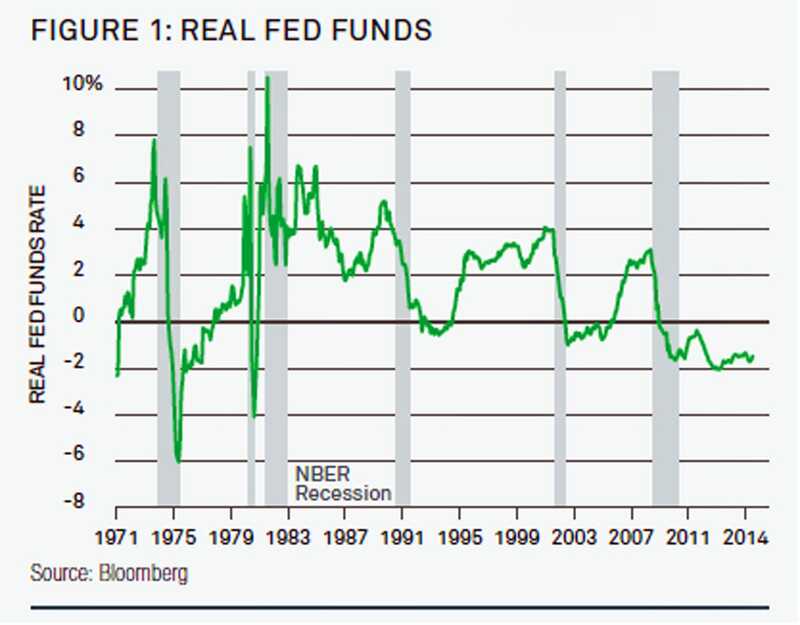 Without new recessions, we think that funds rates will be around the 4% nominal level by 2017.